A new book titled «The Real Madrid Way» was released in October 2016. The book is the untold story of Real Madrid. It has received endorsement quotes from Sir Alex Ferguson, Billy Beane and David Stern. 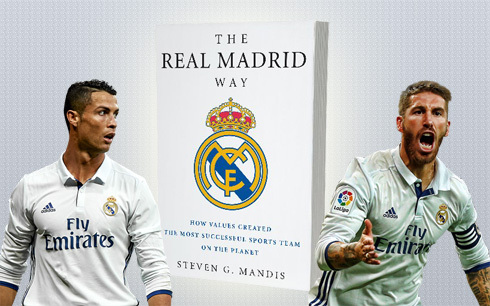 According to the book written by Steven Mandis, Real Madrid is the most successful sports team on the planet. The author defines this by examining performance both on and off-the-pitch. 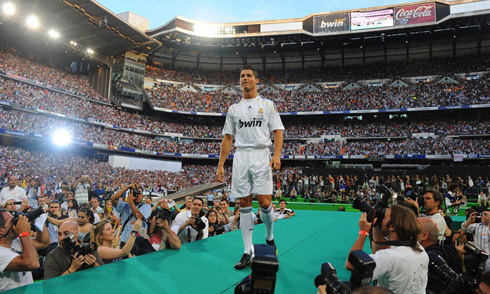 The Merengues have more trophies than any other sports team, including 11 UEFA Champions League and 32 La Liga trophies. However, the story behind the success goes beyond players like Di Stéfano, Raúl or Cristiano Ronaldo, as well as coaches. Generally unnoticed, Florentino Pérez and his management team, consisting mostly of outsiders, took the team from near bankruptcy to the most valuable sports club in the world. How did Real Madrid achieve such extraordinary success? What are the most important things to winning: Talent? Money? Data Analytics? Columbia Business School adjunct professor Steven G. Mandis investigates. Given unprecedented behind-the-scenes access, Mandis is the first researcher to rigorously analyze both the on-the-pitch and business aspects of a sports club. What he learns is completely unexpected and challenges the conventional wisdom that money, talent or moneyball-fueled data analytics are the primary tools of success. Instead, Real Madrid's winning formula both on and off-the-pitch, from player selection to financial management, is based on aligning strategy with the culture and values of its fan base (as opposed to billionaires or corporations focusing on their own values). Chasing the most talented (and most expensive) players can be a formula for a winning record, but also financial disaster, as it was for Real Madrid in the late 1990s. Real Madrid’s management believes that the club exists to serve the Real Madrid community. They discovered that its fans care more about why the team exists, how their club wins, and whom it wins with versus just winning. The why, how, and whom create a community brand and identity, and inspire extraordinary passion and loyalty, which has led to amazing marketing and commercial success (why the club has the highest revenues in sport for the last 11 years in a row) — in turn, attracting and paying for the best players in the world, with the values the fans expect. The club’s values and culture also provide a powerful environment for these best players to work together to win trophies. «The Real Madrid Way» book explains how Real Madrid has created and maintains a culture that drives both financial and on-the-pitch success. It explains that you can't just look at tactics on the pitch or player selection in isolation or the business aspects. This book is a captivating story of the life¬time of one of the greatest clubs in the most popular sport in the world. — Billy Beane, executive vice president of baseball operations and minority owner of the Oakland Athletics. Cristiano Ronaldo next game is a La Liga fixture for Real Madrid on November 6 of 2016, against Leganes. You can watch Juventus live stream, Real Madrid vs Leganes, Real Sociedad vs Atletico Madrid, Manchester City vs Middlesbrough, Chelsea vs Everton, and West Ham vs Stoke City, all matches provided from our live sports game pages.